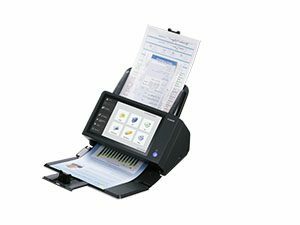 The imageFORMULA ScanFront 300 series network scanner is a full-featured, easy to use and manage device for capturing, converting, and sharing documents. 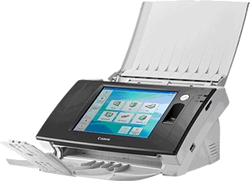 The ScanFront 300 was designed to simplify the distribution of business information across a network to specified destinations while improving the security of the data being shared, maintaining information quality, and lowering overall workplace costs. 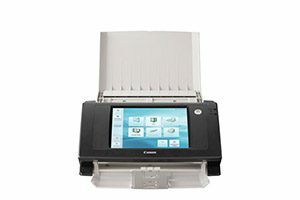 The ScanFront 300 scanner is an ideal solution for capturing documents in decentralized environments. It improves collaboration by allowing users in central and field locations to capture and share information seamlessly. Manufacturing,financial services, legal, healthcare, and other industries can benefit from easy and secure distribution of documents within their business processes. 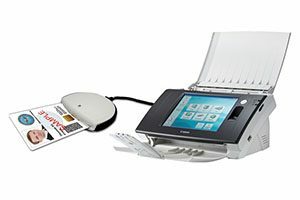 This scanner also provides faster color scanning speeds and comes equipped with ultrasonic double-feed detection and a fingerprint reader for additional security.